Cassava (Manihot Esculenta) other names : Balinghoy , Cassava , Kamoteng Kahoy , Kappa , Mandioc , Manioc , Manioc Root , Mogo , Tapioca-root. 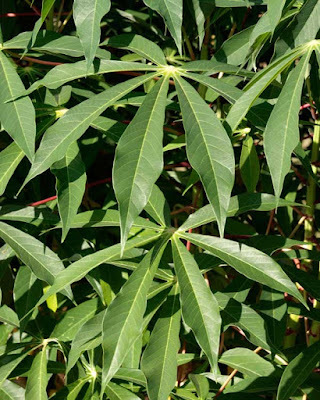 A timber-like shrub belonging to the Euphorbiaceae (spurge) family, cassava is indigenous to South America. Cassava is extensively cultivated in the form of an annual crop in places having tropical as well as sub-tropical climatic conditions in the continent for its starchy tuberous root, which is not only edible, but also a main resource of carbohydrates. Cassava is different from another fruit-bearing shrub called yucca, which belongs to the Asparagaceae family. Cassava is also known as tapioca when dried to form a powdery (pearly) extract. The fermented and flaky form of cassava is known as garri. Cassava is a perennially growing plant that grows optimally when cultivated in tropical, damp, and fertile soil having a good drainage system. The fully mature plant grows up to anything between 2 meters and 4 meters in height. Cassava is cultivated in the same manner as sugar cane. When cultivated in fields, the cut stems of cassava are sown in the soil. Elongated, globular roots or tubers emerge from the planted cut stems roughly eight to ten months after plantation. These roots radiate just below the surface of the soil up to a maximum depth of two to four feet. The weight of each tuber varies from one to quite a few pounds, subject to the type of cultivar. The flesh of these tuberous roots is rich in starch and sweet to taste. These roots should only be consumed after cooking. For several centuries, indigenous people in several regions of South America, Asia and Africa have been relishing this sweet and crunchy edible tuberous root as a popular food. For millions of people inhabiting these regions, cassava along with other edible roots and foods rich is starch content, such as potato, plantains, taro, yam and others, form an essential part of their carbohydrate diet. It is worth mentioning here that after rice and maize, cassava is the third main source of carbohydrate-rich food in the tropics. For many people in the developing world, cassava is the main staple food. Precisely speaking, this edible tuberous, starch-rich root forms the primary diet for more than half a billion inhabitants in these regions. 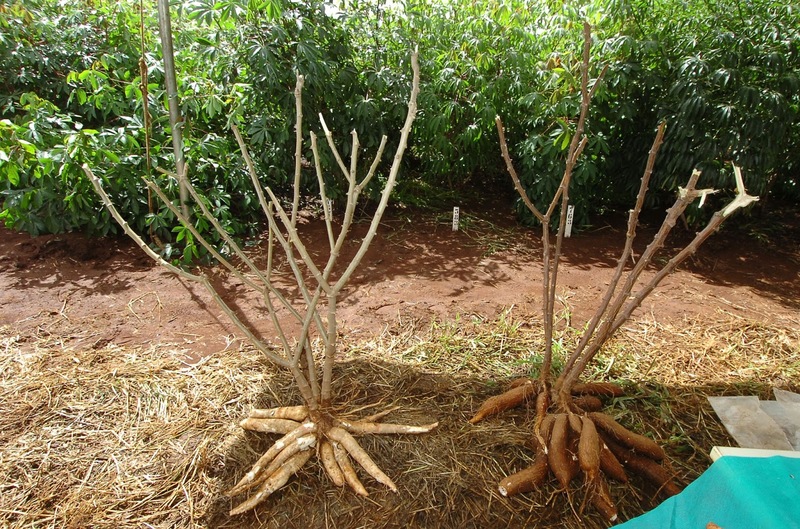 Cassava is among those crops that possess great aptitude to endure droughts and can grow even on soils that are not so fertile. While Nigeria produces the largest amount of cassava in the world, as of date, Thailand is the biggest exporter of dried out cassava. Growing cassava is quite easy and this species does not need thorough preparation of the land or an even seed bed. Often, the crop is cultivated on steep hillsides, which are usually depleted as well as eroded from before owing to cultivation of other crops. In fact, cassava is possibly the solitary crop which will still grow on such extremely poor and acidic soils. Cassava is basically a root crop indigenous to the tropical regions. 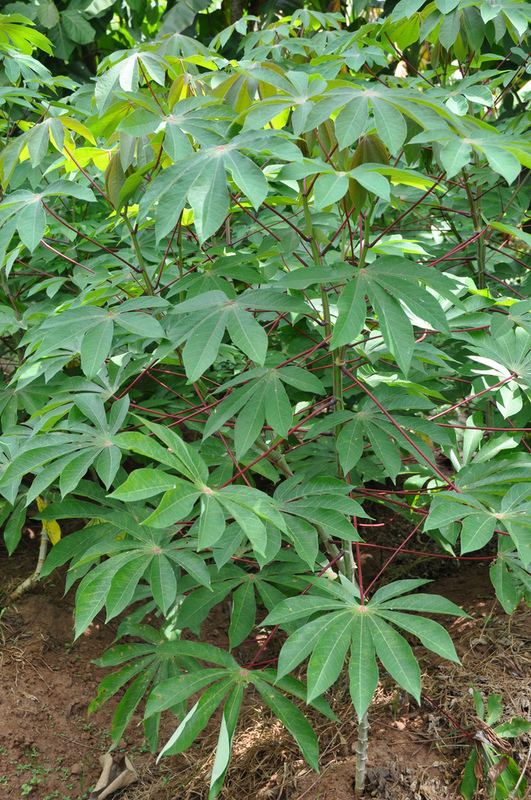 Cassava grows best in places having a prolonged warm weather, no less than eight months. Nevertheless, cassava can also grow in adverse conditions, wherein the weather condition is cool or dry. In such conditions, cassava may take as long as 18 months or even more to mature. Traditionally, cassava is cultivated in savannah climate, but cassava may also be cultivated in places receiving extremely high rainfall. Here cassava is important to note that though cassava will grow in high rainfall areas, this crop will not endure flooding. Cassava drops it leaves when grown in droughty areas with a view to preserve moisture and new leaves appear only after the rains start again. When cultivated commercially, cassava is only propagated from its stem cuttings, as when propagated by seeds, the germination rate of cassava is even lower than 50 percent. In fact, seeds are used to propagate this plant only for selecting the seedlings having smaller number of roots, which are smaller compared to the parent plants. From the botanical point of view, the seeds of cassava are just used with the aim of breeding. Compared to potatoes, the calorie content of cassava is almost two-fold. This may possibly be the highest calorie content for any starch rich root or tubers found in the tropical regions. For instance, 100 grams of cassava roots supplies 160 calories. The sucrose that forms the major part of the sugars in these tuberous roots, which comprise over 69 percent of the entire sugars, is mainly responsible for their high calorie content. Amylose, a complex sugar, is yet another main source of carbohydrate in cassava, comprising about 16 to 17 percent of the total sugars. Although cassava contains very high levels of carbohydrates, compared to pulses and cereals, this edible tuberous root does not contain sufficient fats and proteins. But still, its protein content is higher compared to that of other different sources of foods in the tropical regions, such as potato, yam, plantains and others. Similar to other tubers and roots, cassava also does not enclose any gluten. It may be noted here that special foods for patients with celiac disease are prepared with gluten-free starch. In addition, the young and tender leaves of cassava are a rich source of vitamin K and dietary proteins. Vitamin K is vital for building bone mass by means of supporting osteotrophic actions inside the bones. In addition, it has also been established that vitamin K plays a vital role in people suffering from Alzheimer’s disease. It has been found that this nutrient works to restrain the neurological damage inside the brain. The root of cassava is also the main resource of a number of essential minerals, such as copper, magnesium, iron, zinc and manganese, for numerous inhabitants in the developing world, especially those located in the tropics. Moreover, the tuberous root of cassava encloses potassium in sufficient amounts. Potassium is a vital cellular component as well as the body fluids, which aid in regulating the blood pressure and heart rate. There was a time when the inhabitants of Samoa employed cassava to bring about forced abortion. On the other hand, in North America, native Indians employ the brownish juice, extracted during the processing of cassava roots, for healing burn injuries. 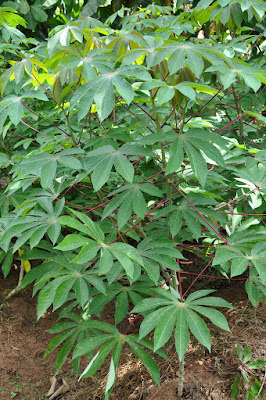 Apart from the tuberous roots, the young soft leaves of cassava are also used for culinary purposes. These leaves are loaded with vitamin A and vitamin C, in addition to elevated levels of proteins, and are used in the form of a potherb. The young leaves of this woody shrub are cooked in the same way as you prepare spinach. Cooking the leaves helps to get rid of the poisonous compounds contained by them. Dried roots of cassava are pounded to produce flour, which is used for making loaf breads, quick breads, cookies, doughnuts, pancakes, bagels, muffins as well as dumplings. A juice extracted from cassava is fermented to make potent liquor known as kasiri. This juice is also concentrated and sugared till it turns into dark colored syrup known as kasripo. This syrup is known to possess antiseptic attributes and is employed as a flavoring agent. The roots of the sweet variety of cassava are peeled and generally consumed after cooking or baking. There are two varieties of cassava - sweet cassava and bitter cassava. Cassava, similar to other different roots and tubers, encloses toxins and anti-nutritional factors. Therefore, it is essential to cook this tuberous root of cassava properly prior to consuming it. If prepared in a wrong manner or inappropriately, this edible root may still contain sufficient residual cyanide, which may lead to severe cyanide intoxication as well as goiters. In some cases, it may even result in ataxia or a semi-paralytic condition. All said and done, time and again, farmers have a preference for the bitter cassava, as it helps to keep away pests, animals and even thieves. In a number of places, the more toxic types of cassava are often used in the form of a fall-back resource (in other words, a "food security crop") during famines.